With consumer demand driving the trend towards more ‘gourmet’ and ‘artisan style’ meals and snacks on pub, club, bistro and café menus, it’s no surprise that discerning foodservice professionals are on the lookout for ingredients which can add distinctive flavour and a touch of extra quality to their meals. And if you can achieve this without creating extra time and labour costs, that’s even better! 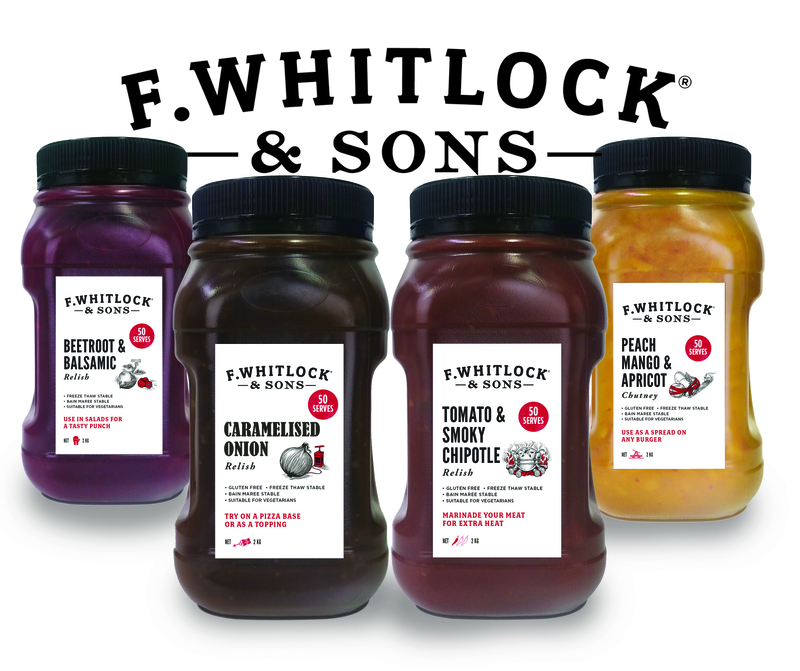 One simple solution is to stock up on quality condiments such as those produced by F. Whitlock & Sons. The iconic New Zealand brand has unveiled a new range of premium quality condiments which their developer, Cerebos Australia Corporate Chef Adam Moore, describes as “mainstream with a twist”. “The new flavours are based on current and emerging taste trends,” Adam explains, adding that much research and development has gone into the new products along with extensive market testing. “The market for chutneys and relishes is expanding in Australia,” he emphasises. “We’ve always seen them in sandwiches, but now chefs and café owners are starting to use them on gourmet burgers and wraps, in canapes for function catering, and even on pizzas. Caramelised Onion Relish – ideal for lamb burgers in place of tomato sauce, or you can fold some into cream cheese and sour cream to use on vegetarian wraps. Also great for adding to gravy to give that extra special something. Peach Mango & Apricot Chutney – dollop on burgers, use as a sandwich spread or as a dipping sauce for spicy chicken wings. Also suitable as a marinade for calamari rings prior to crumbing, or to sweeten curries. Beetroot & Balsamic Relish – serve on top of rump steak with salad or use to glaze ham or turkey for a beautiful rich flavour. You can also add to sandwiches or even serve on cheese platters to create a point of difference. Tomato & Smoky Chipotle Relish – fabulous with pulled chicken sliders or served with beef skewers. You can also fold into macaroni and cheese or add to tomato or BBQ sauce for a unique sauce to accompany meat pies. The range utilises real fruit and vegetables to provide greater flavour depth, complexity and consistency, ensuring a unique flavour profile that stands apart from other chutneys and condiments on the market. They come in 2 litre containers with a wide mouth allowing easy access to the last spoonful and easy-grip handle for greater pouring control. 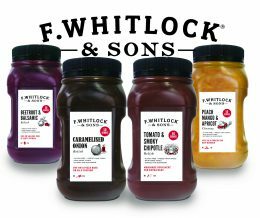 Add F. Whitlock & Sons to the menu today and discover the difference these fantastic products can make when used as an ingredient in a wide range of meal types and cuisine styles.